Stability in current Guar seed and Guar gum prices due to prediction of poor rainfall. There is cloudy weather in this week, there are also news of some rainfall in few places in guar rowing belt. Due to this improvement in guar cultivation conditions, prices of guar seed and gaur gum crashed in this weak. All the stake holders are worried about the future movement of guar seed and guar gum prices. Since it is cropping period, so prices will keep flactuating with the different climatic conditions. As per reports current ongoing rainfall are not enough, ether it is scattered, or it is very low. There are also news that Guar cultivation data released by Rajasthan govt is near to target of 35,00,000 hectare guar cultivation. 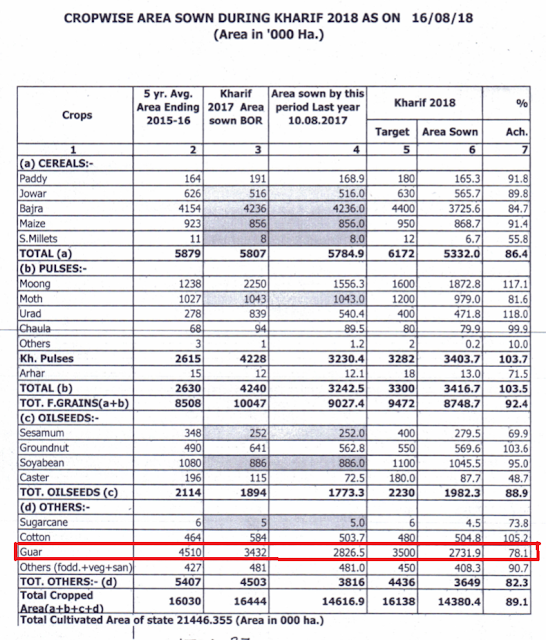 As per recent statistic till 24/08/2018 there is guar seed cultivation on 30,65,000 Hectare area. There are no more chances further increase in this figure as sowing of gaur has almost completed. Currently lower side of guar seed is strong in local market. Price will again move in upward direction. There are four months to come the new crop. There are buyer in physical market at current prices. Crude oil prices are also increasing in international market. Last week group of guar stake holders did a field visit in Guar growing belt from Jaipur, to Sikar, Churu, Hnaumangarh, Shri Ganganagr, Sirsa, Hisar, Bhiwani, Jhunjhanu Districts. It was observed that Guar crop was not good in rain-fed area, plants were very small there was immediate requirement of rainfall. Height was not more that 1.5 feet. Biological growth of plants was also poor. In some farms there was attack of bacterial blight and Alternaria leaf spot. In irrigated area specially Hanumangarh, Ganganagar situation was also poor. There is shortage of water in canal. Many of guar farm in irrigated belt were under rain-fed agriculture practices. Damage was also noted in some irrigated belt in rain-fed Guar. Crop wilting due to low moisture in soil and environment. Some news paper have also published the report of crop damage. As per an early estimated this guar production should be around 50-60 lac bags of 100 kg each. Guar seed and Guar gum prices are strong in the local markets. Market prices of Guar seed and Guar gum are quoted higher than NCDEX. Forward trading of Guar seed and Guar gum is also strong with buying demand and poor rainfall in guar cultivation area. Good quality of guar seed is traded at Rs 4200/100 Kg and average quality guar seed is traded at Rs 4100/100 Kg. Standard quality guar gum is traded at Rs 9000/100 kg. In interior location, guar seed is traded up to 4000/100 Kg. 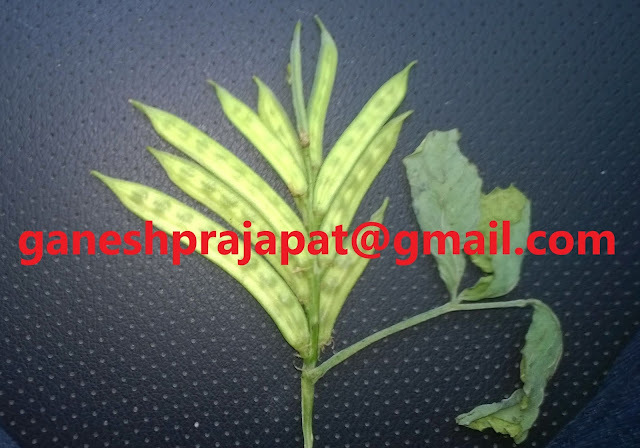 Guar seed is being traded strongly in the future market. At NCDEX (National Commodity & Derivatives Exchange Ltd) guar seed-10MT is traded at Rs 4610, 4641 higher by 0.62 percent or INR 55/100 Kg, 0.62 percent or INR 56/100 Kg with open interest of 61305, 3950 for October and November month contracts. Guar gum is also traded strong in the future market. At NCDEX (National Commodity & Derivatives Exchange Ltd) Guar gum- 5MT is traded at Rs 4183, 4215 higher by 0.19% percent or Rs 8/100Kg, 0.26 percent or Rs 11/100 with an open interest of 103800, 8570 for October and November month contracts. Poor rainfall in rainfed area and Guar seed & Guar gum prices. As per field reports coming from Guar gum seed growing belt , Monsoon rainfall is very poor in rainfed guar growing belt. Fresh sowing of guar seed crop has been almost stopped. Biological growth of guar seed crop which was sown in first arrival of monsoon; has been stopped. Guar gum seed crop standing in rainfed area is showing the symptoms of water stress. Framers are worried about the poor condition of guar gum seed crops and low rainfall. If the subsequent rainfall doesn’t comes in next 9-10 days then there are chances that there will be damage in guar crop on large area. As per report on “Crop with sown area” released by Joint Director Agriculture Statistics, Government of Rajasthan, till 16/08/2018; 78% sowing of Guar seed has been completed against the target decided by Agriculture department. As per this report Guar seed has been sown on 27,31,000 Hectare area in Rajasthan. If there is no rainfall, then there will be no further improvement in this figure of guar gum seed crop sowing. This year agriculture department targeted guar gum seed sowing 35,00,000 Hectare area. Last year there was sowing of Guar on 28,26,000 Hectare area during the same period. As per an estimate for this year farmers and traders are expecting that if the climatic conditions remain same as on till date then there will be production of 50,00,000 bags of guar gum seed maximum. Currently there are no chances in improvement of climatic conditions. Guar gum seed cultivation districts are facing the rainfall deficit. In repeating guar growing belt ; attack of bacterial blight has been observed. Belt of Churu, Hanumangarh and Bikaner are affected with bacterial blight in guar gm seed crop, as farmers are repeating the Guar gum seed crop on same land. 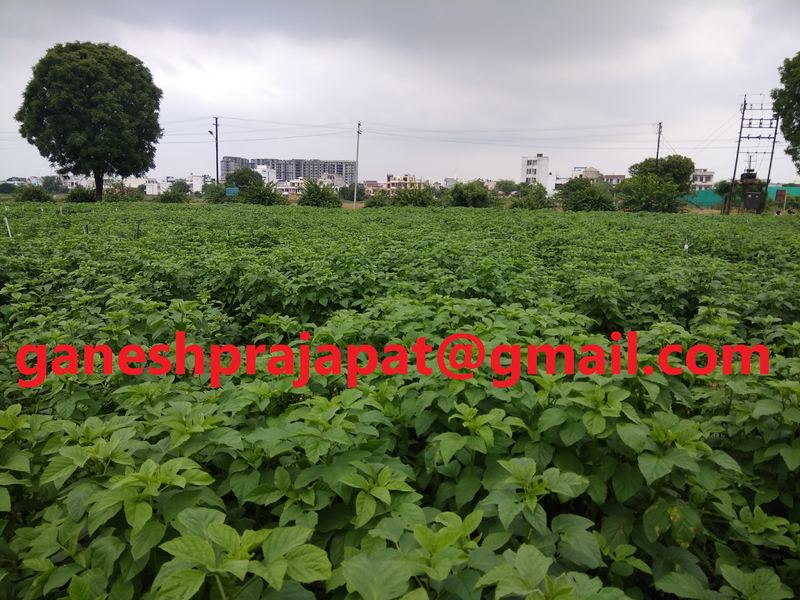 Generally, these types of problem are observed if farmers are not following proper crop rotation or proper seed treatment before guar gum seed sowing. As per field report guar gum seed will give good return on current rates and guar gum seed prices may will touch Rs 5000/100Kg. If climatic conditions worsen further, then prices may go above 5000 and more. As per export data export of guar gum is higher then previous year till date. 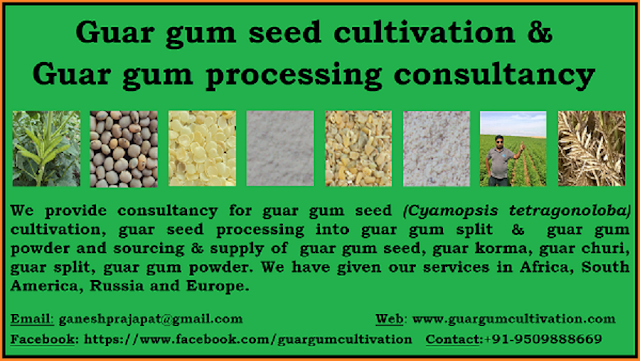 If the demand of guar gum rise with increasing crude oil prices. Then Guar seed prices will boost in local market. Both Guar seed and Guar gum prices are strong in the local physical markets. Market prices of Guar seed and Guar gum are quoted higher than Commodity exchange NCDEX. Forward tarding trading of Guar seed and Guar gum is also expected to remain high with buying demand and poor rainfall in cultivation period. Good quality of guar seed is traded at Rs 4600/100Kg and average quality guar seed is traded at Rs 4500/100 Kg. Standard quality guar gum is traded at Rs 9900/100 kg. In interior location, guar seed is traded up to 4300/100 Kg. guar seed is being traded strongly in the future market. At NCDEX (National Commodity & Derivatives Exchange Ltd) guar seed-10MT is traded at Rs 4610, 4641 higher by 3.17 percent or INR 141/100 Kg, 3.1 percent or INR 139.5/100 Kg with open interest of 111620, 7890 for October and November month contracts. Guar gum is also traded strong in the future market. At NCDEX (National Commodity & Derivatives Exchange Ltd) Guar gum- 5MT is traded at Rs 9930, 9998 higher by 3.2% percent or Rs 308/100Kg, 3.99 percent or Rs 384/100, 2.47 percent or Rs 247/100 with an open interest of 63660, 3050, 20 for October, November and December month contracts.